Are we blessed or cursed to have more than one super volcano in America? 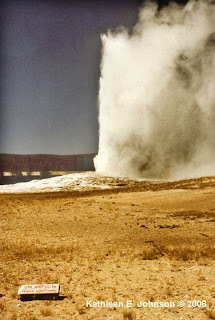 The Yellowstone Caldera has been recently in the news because of a high level of micro earthquake activity. The official word is, that the EQ's don't mean anything. As a person with some experience in volcanology I know that is a lie. 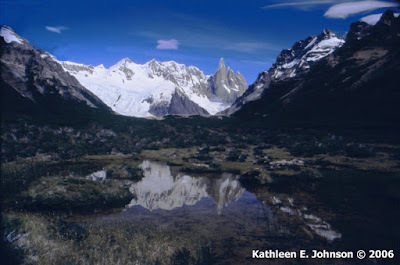 We are yet again suffering the 'Dante's Peak' Syndrome, where local officials don't want the tourists to be scared off. Denver is the largest city in the 'danger zone' for Yellowstone. A third continental US Volcano is classed as a super volcano. We'll meet that one next month. From my very old print fujifilm ISO 400, 1981, and my first camera, my Minolta SRT-SCII that was stolen when I was in graduate school. You will find this monument in the Tombstone, Arizona Cemetery. Remembering that their can be no Easter, without Passover. 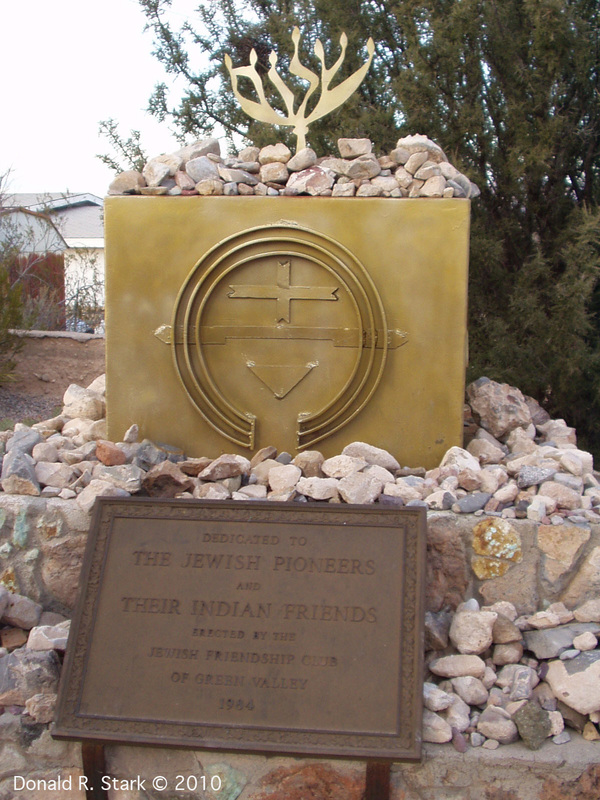 and not all of them killed their Native Neighbors. Passover begins at Sundown, hence the late posting. And if you are seeing this, the server problems have been solved! 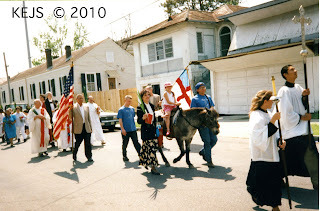 Google seems to have lost my photos. Apparently this problem developed over the weekend and is not yet completely resolved. Hopefully this problem will be solved soon! 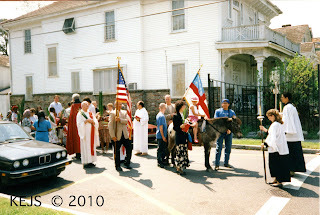 Our Church in New Orleans, Grace Episcopal, had a traditional Procession of the Palms. 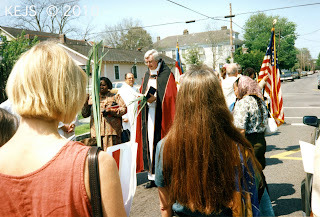 Our Priest at the time, Rev. Wayne Wright is currently the Bishop of Delaware. It seems to be the current practice to have a child make the symbolic ride. 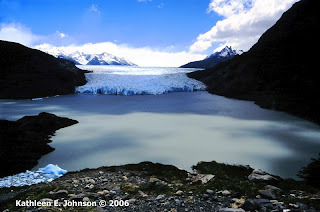 We ended our hike of the "W" at Gray Glacier. 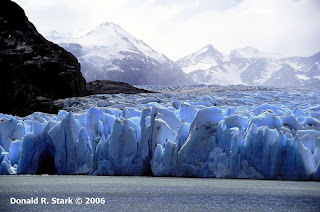 We approached the glacier face, and had cocktails made from Glacial Ice. 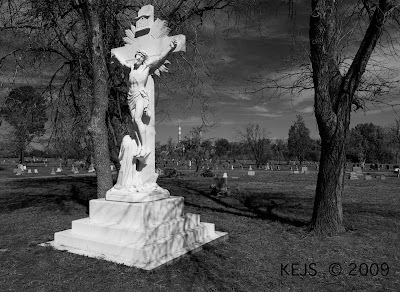 Burial Place for the rich and famous, and lesser known citizens of Denver's early days. This beautiful monument amongst the current residents. As you view this we are currently on vacation in New Mexico. 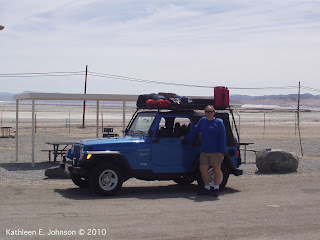 We may revisit Elephant Butte along the way. 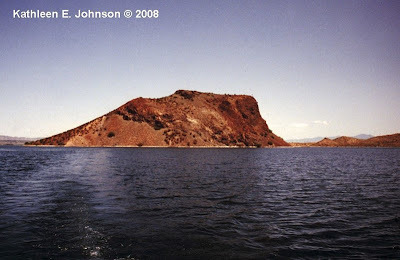 Elephant Butte Lake (a reservoir) is a failed Bureau of Reclamation project from the 1920's. 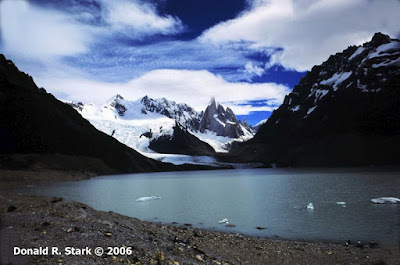 The high evaporation rate caused the 'lake' water to be too salty for agriculture. So now it's just a recreation spot. We will be traveling through New Mexico this week. 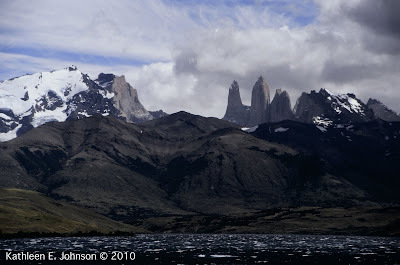 I've left you postings for Sundays in Patagonia, the Weekly Volcano, and Faith On Film. But I'm going on an electronic communication free vacation, so I won't be answering comments until I return. 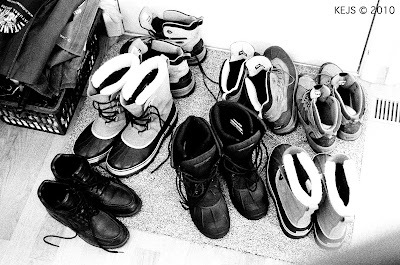 All of our Boots; various types for different conditions. And Barely used this past winter! But we did get one final blast of snow for the last official day of Winter Yesterday! And I wore my little black boots (lower left) to work! 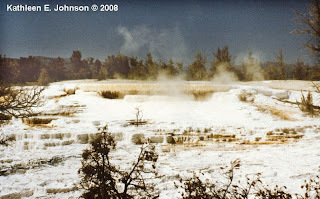 Long Valley is a super volcano, measuring 11 miles N-S and 20 miles E-W. The movie, Dante's Peak, was based upon the monitoring of Long Valley, and I knew the volcanologist that consulted on the film. It is also the sight of one of California's largest ski resorts, so real estate agents and town officials forced the U.S Geological Survey to stop issuing activity warnings. 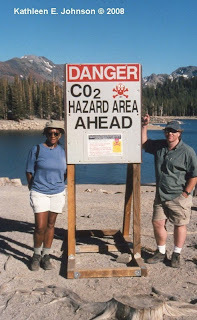 Nonetheless, carbon dioxide emissions are common, almost killing a U.S Forest Ranger several years ago. Micro earthquakes (a sign of magma moving underground) are also common. The day of our visit there was supposed to be a Base Jumper. Very dangerous sport. But the weather closed in (Below) and the jumps was canceled. From Mission San Miguel, near San Luis Obispo. The Mission has recently reopened. 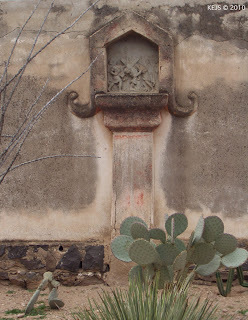 We'll revisit San Miguel, when the Mission Series continues during the Easter Season. 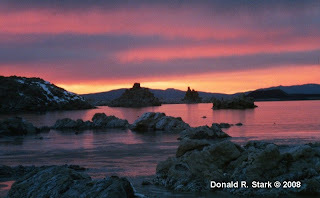 Most visitors probably don't realize that Mono Lake is part of a volcanic tructure. As you can see, winter sunrises are beautiful. What you can't see is how cold it is! 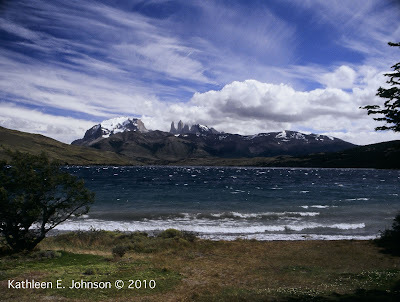 Blue Lake, our last day Trekking in Chile before heading to Argentina. 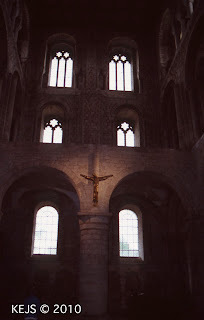 The dark romanesque interior didn't allow for much photography. 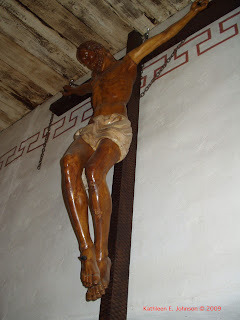 But this crucifix in the north tower was illuminated. Are you picking up the Lenten Theme Yet? Mt Shasta as seen from the summit of Lassen Peak, looking north. 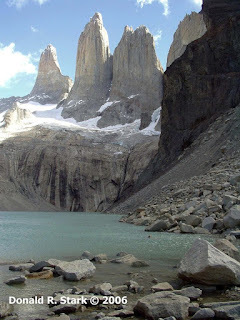 The parasitic cone on the left flank is Shastina, in its own right a 12,000+ ft volcano. 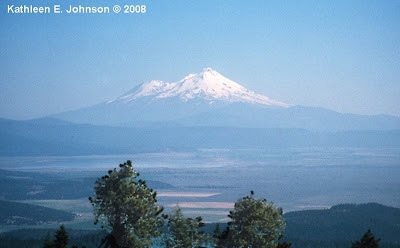 So I've managed to start 4 months with Mt Shasta....and I have a few more! 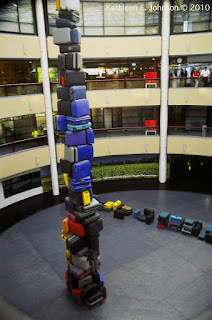 An interesting sculpture at the airport. 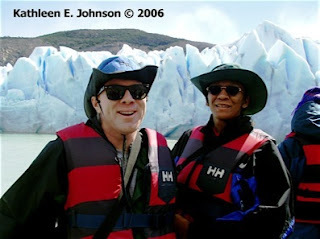 If you'd like to see more of our Chilean Adventure just post a comment here.